Happy Holi....Even Google is wishing you ! 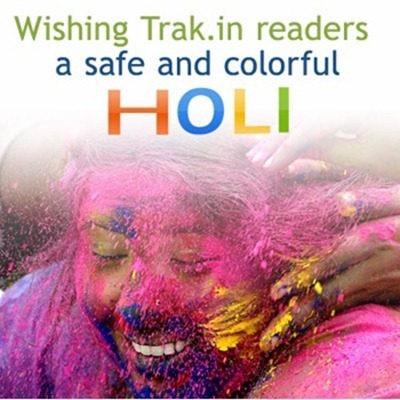 Holi is surely one festival which symbolises India to its core – Colourful, Young, Vibrant and diverse – And, we wish all our trak.in readers a very very happy, colourful and safe holi! And this time – Holi wishes are being bought to you by Google as well. They are celebrating Holi by dedicating a Holi Google Doodle !!! Let the colors of Holi spread the message of peace and happiness in everyone’s life.